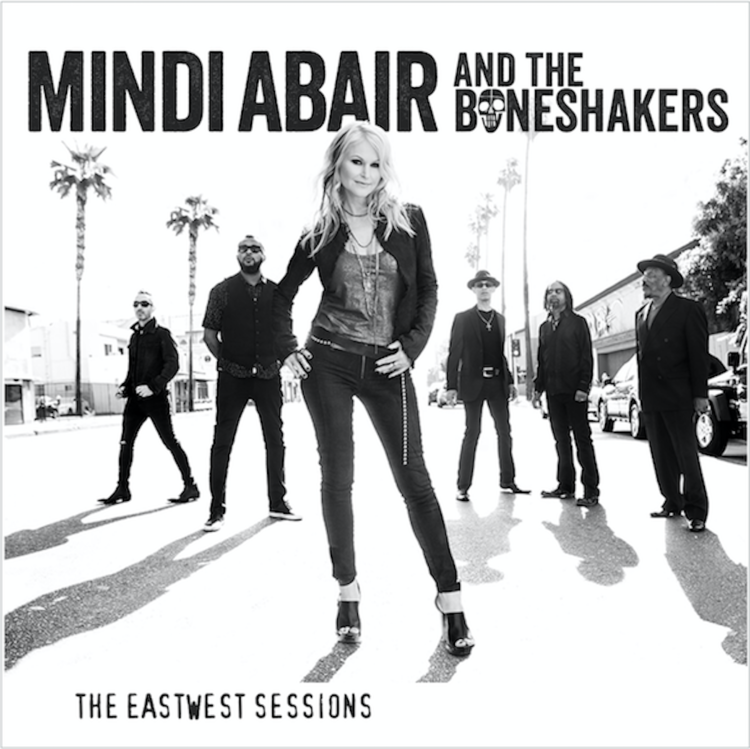 Last night Mindi Abair And The Boneshakers rolled into town and I had the chance to catch their show at the Montrose Room in Rosemont, Illinois. 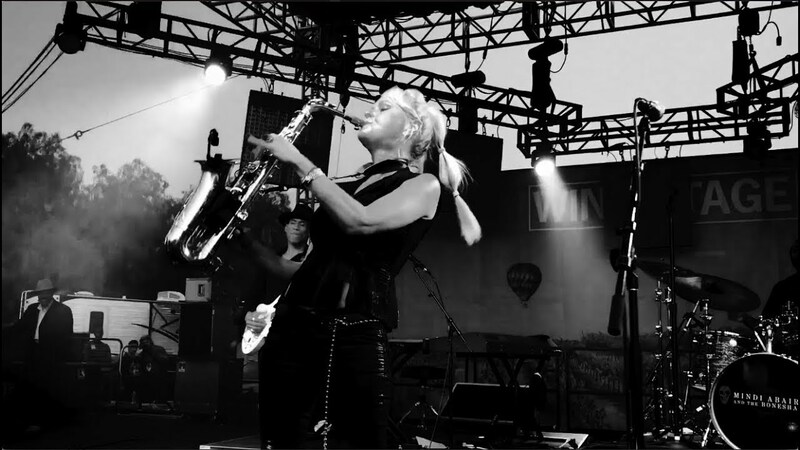 The two-time Grammy nominated saxtress and crew did not fail to disappoint in the least. Abair is a well known staple of the music business having performed and/or recorded with the likes of Aerosmith, Gregg Allman, Bobby Rush, Kenny Wayne Shepherd, Lalah Hathaway, Duran Duran, Adam Sandler, Lee Ritenour, The Backstreet Boys, Max Weinberg, and David Pack, amongst others. Likewise, the Boneshakers are solid performers in their own right and the group features outstanding guitarist Randy Jacobs (former of Was (Not Was)); Rodney Lee (keys); Derek Frank (bass); and last but not least, monster drummer Frank Richardson. Performing numerous tracks from Abair’s prior albums, the group also jumped into some tunes from their newly released album which is entitled Eastwest Sessions which included an electric performance of the riveting Pretty Good For A Girl. What I found intriguing was Abair’s flare for effortlessly shifting between various genres including jazz, blues, and rock n’ roll. At this stage in her career Abair’s mastery of a wide range of genres has significantly upped her stock in my mind. Collectively, the band and Abair lack nothing. Abair–who is an accomplished author, musician, and vocalist–has mastered embouchure as well as her instrument. 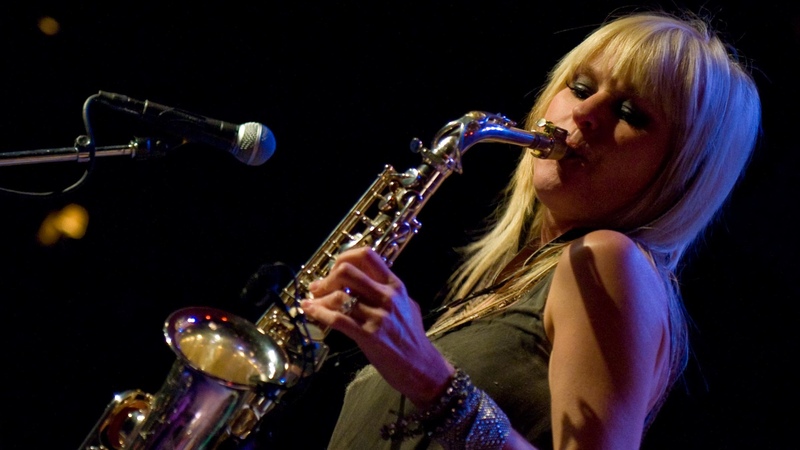 No doubt she should be included in any discussion of the top saxophone players in the world. I was also impressed with her abilities as a lead vocalist and that talent should not be overlooked. Jacobs is a terrific showman and a fantastic player in his own right. His feel for driving blues is uncanny. Rodney Lee and Derek Frank hold down the rhythm section in solid unison and by providing such a strong foundation this gives Abair and company room to roam and roam they do. Rounding out the band is drummer/backing vocalist Frank Richardson who fits the band perfectly. His pocket is rock solid and he’s careful not to overplay. However, make no mistake about it, Richardson can unload when called upon to do so. Abair and crew will be on tour for a while longer in support of their newly released album and if you are into pure talent seasoned with marked showmanship, you will want to check out this band. (You can find their tour information here). Rock on Mindi.